Egyptian and Jordanian foreign ministers, along with PA official in charge of foreign affairs, express support for U.S. peace efforts. The Egyptian and Jordanian foreign ministers, along with the Palestinian Authority (PA) official in charge of foreign affairs, on Saturday expressed support for the United States’ Middle East peace efforts. Their comments came at a meeting in Cairo ahead of a White House delegation visit to the region, according to AFP. Egypt's foreign minister had said earlier this week the three would meet to coordinate ahead of the visit by the U.S. delegation that includes presidential adviser Jared Kushner. On Saturday, the ministers said in a joint statement they "appreciated the American role to achieve peace" between the Israelis and Palestinian Arabs. They "look forward to the U.S. administration intensifying its efforts in the coming period", they added. 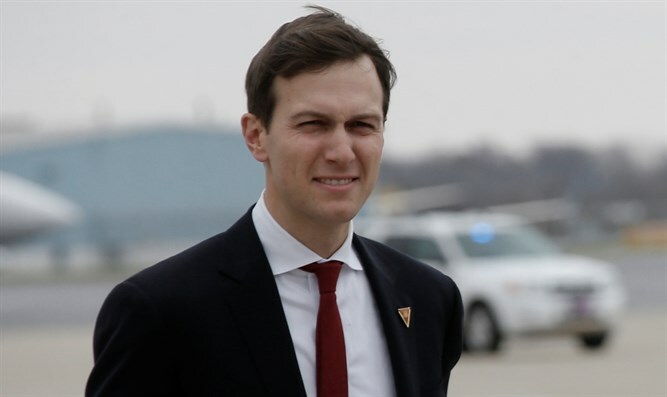 Kushner is expected to visit the region this week in an attempt to advance the peace process. He will meet with Prime Minister Binyamin Netanyahu, PA chairman Mahmoud Abbas, and leaders from Saudi Arabia, the United Arab Emirates, Qatar, Jordan and Egypt. Though Israel has agreed to negotiate, Abbas continues to impose preconditions on talks instead of meeting Netanyahu. Talks between Israel and the PA have been at a standstill since 2014, when the PA unilaterally applied to join international organizations in breach of the conditions of the talks, which were overseen by then-Secretary of State John Kerry.